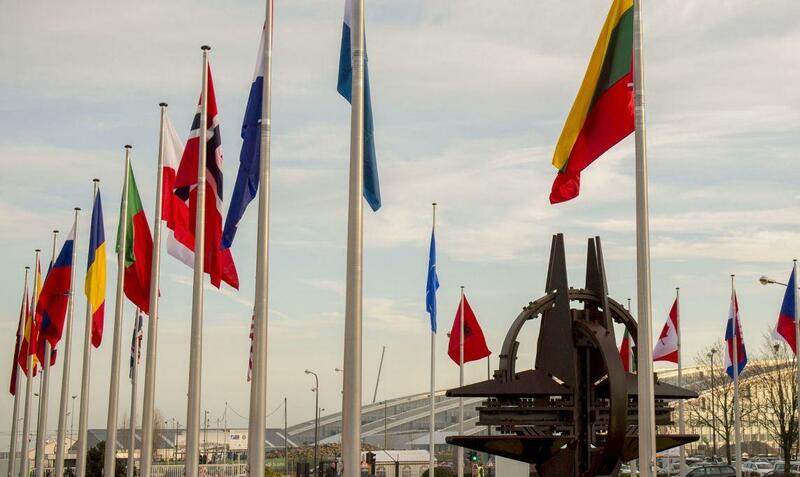 If NATO were a person, it would be five years past retirement age. In fact, as Ron Paul notes, NATO should have retired back in the early 1990s when its reason for existence - the Warsaw Pact - ceased to exist. Instead, new missions had to be created and new enemies had to be made to justify the massive behemoth that provides lush jobs for the well-connected and vast fortunes for the weapons makers. NATO must die and the sooner the better. But, as The Strategic Culture Foundation notes, the supposed allies of the Soviet Union hastily went from an ostensible joint purpose of defeating Nazi Germany during the Second World War to initiating hostility towards Moscow. Already in 1946, British war-time leader Winston Churchill was fulminating about “an Iron Curtain” descending across Europe, in language adapted from Third Reich propaganda maestro Joseph Goebbels. The ensuing Cold War would last for nearly half a century until the Soviet Union collapsed from its internal political and economic stresses. NATO’s real function is at least three-fold. First, it gives the US an excuse to justify its enormous military presence in Europe. Instead of appearing as an occupying force, which it is, the Americans claim to be a protector of allies against malign Russia, or formerly the Soviet Union. This allows Washington to exert political control over its so-called European allies, and specifically to prevent any normalized relations with Russia. US vice president Mike Pence this week scolded Germany and fellow NATO member Turkey for daring to continue relations with Moscow, in the form of the Nord Stream 2 gas project and Ankara’s purchase of Russian S-400 air defense system. Pence inferred treasonous conduct on the part of Berlin and Ankara just because these two nominally independent countries have chosen to do business with Russia. Pence was thus demonstrating the classic NATO purpose of dividing Europe from Moscow.